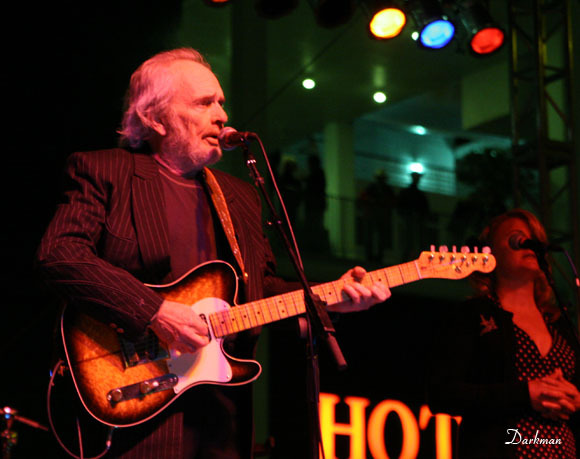 Merle Haggard was born in Bakersfield in 1937, to parents who had just moved there, after their farm burned down in Oklahoma. Living in a converted box car turned home, there was food on the table and a sturdy shelter. 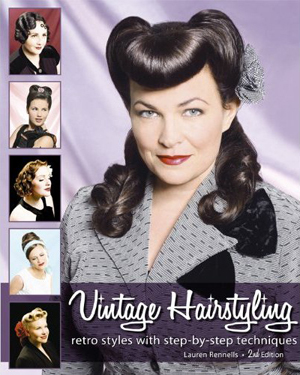 A far cry from today’s standards but back then, anything could be called home, if that’s where the heart was. Merle’s life changed when his father whom he was very close to, died suddenly of a stroke, when Merle was just 9 years old. His mother took to bookkeeping to make ends meet, and often left him with his aunt and uncle to take care of him while she worked. With no real father figure in his life to guide him like his dad, Merle was soon involved in jumping trains and petty crimes, and was the start of a young and rebellious life. Lefty Frizzell was one of his musical idols and he learned to imitate him, and then eventually Jimmie Rogers, one of Frizzells idols. By age 14 he was making a little money with his music, but it wasn’t enough to keep him out of trouble. Merle was picked up for suspected robbery, and found innocent, but it wasn’t going to be his last stint in prison. Doing time here and there for petty crimes, he found himself in San Quentin by age 20 doing some serious time . He learned to appreciate his freedom, when he didn’t have any. He said Johnny Cash was responsible for him opening up and singing about his past. He didn’t want to at first, but it was Cash who said it was OK, it’s owning up to what you’ve done, and talking about it so that the tabloid can’t. From then on, he stopped running from his past incarcerations, and opened a window to the dark life of prisoners and ex-cons with his songs. A friend of his from prison, Rabbit, predicted he had a good thing going and should follow his musical career. Telling Haggard this also as he told him about an escape plan from prison. He told Haggard he should follow that dream and not escape, as he had a way out. His old friend Rabbit, was executed after his escape plan led to the death of a prison guard. In 1967 Haggard wrote the song “Sing Me Back Home” for Rabbit and it too turned into another #1 hit. “Mama Tried,” was written as an apology of sorts for his religious and hardworking mother, absolving her of blame for his bad behavior. 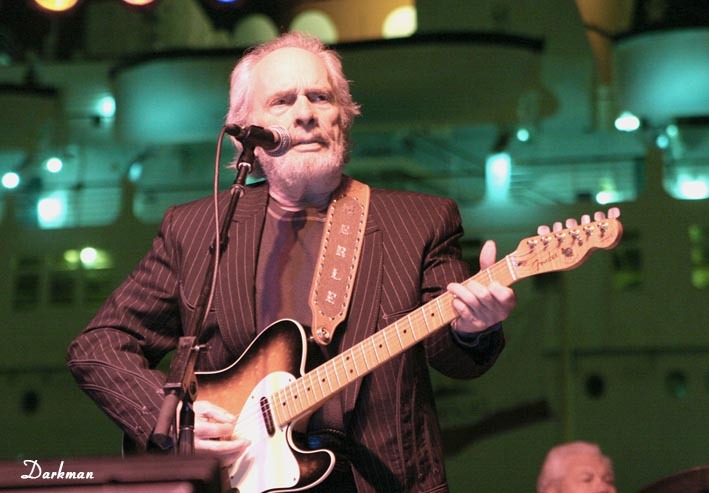 Merle Haggard’s music has been going on for decades and only thought recently in the late 90’s had a slow down. 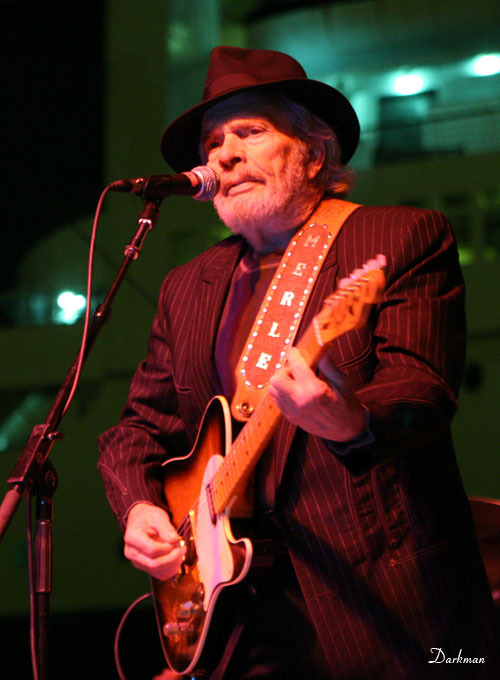 Merle is still singing and writing music and performing onstage with his permanent backup band and in 2000 saw a comeback with his new music. On November 9, 2008, it was announced that Haggard had been diagnosed with non-small cell lung cancer in May of that year and had undergone surgery on November 3 to have part of his lung removed. Haggard returned home on November 8. 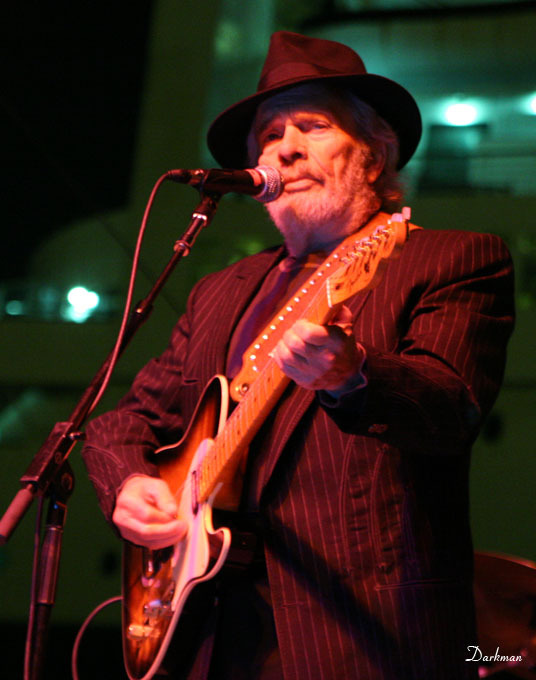 Less than two months after his cancer surgery, Haggard played two shows on January 2 and 3, 2009, in Bakersfield at Buck Owens’ Crystal Palace and is planning to continue to tour and record. Merle Haggard played the Ink-n-Iron Tattoo and Car show on June 11th, 2010.